Cute picture!! And I absolutely adore the name Finley! that's a framer! Love your cute haircut! 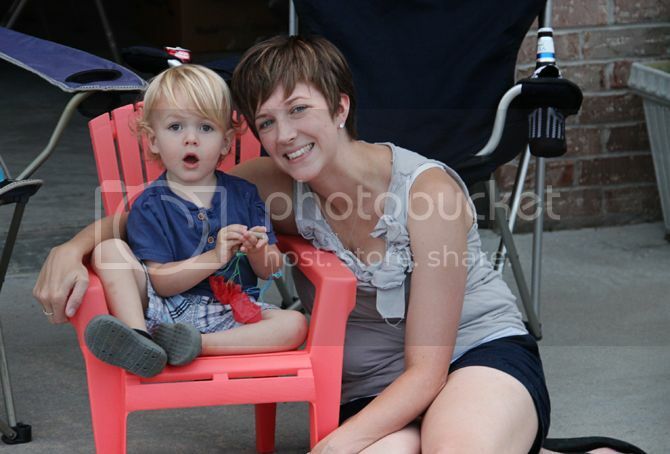 okay there are so many adorable things about this picture...the mini adirondack chair, the look on his face...I love it! so sweet! and i think i've said it before...but i LOVE you hair!